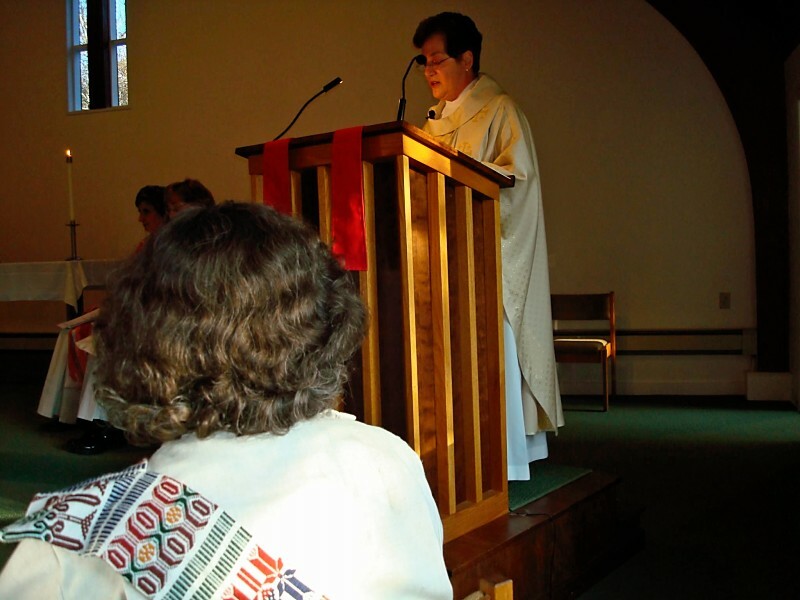 Roman Catholic Women Priests stand on the side of all of their Roman Catholic sisters and brothers who are being denied the Eucharist by their local bishops. The Eucharist is not a weapon that should be used by anyone to punish our sisters and brothers in Christ. To deny people the Eucharist is to deny them spiritual sustenance and food for their journey. It also denigrates the Body and Blood of Christ. Jesus directed those who would follow him to forgive seventy times seven. As he wrote the sins of the righteous in the sand, Jesus stated unequivocally, “Let the person who is without sin cast the first sin.” Jesus, the One who lived among us as our Emmanuel, does not require protection from frail human beings, all of whom have fallen short of the glory of God. It is the Word of God and not the words of the bishops that we acknowledge at Mass. RWCP requests that the American bishops cease and desist from fatally wounding the Body of Christ. We ask all people of good will to understand that best Christian practices do not include exclusion but rather love and forgiveness. RCWP welcomes all people to the altar of God in their respective communities. You will be welcomed with hospitality and good will. 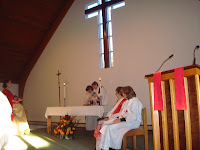 Please check our website www.romancatholicwomenpriests.org for a community near you. "There's been almost universal resistance. We are saying 'enough!' "
"There's been almost universal resistance," said one women religious familiar with the responses compiled by the congregation leaders. "We are saying 'enough!' In my 40 years in religious life I have never seen such unanimity." "Some of the women interviewed by NCR cite an irony involved in the investigation. One said that it is "unlikely the Vatican wanted us to come out of this being more confident of our identity as self-defining religious agents, but that is exactly what has happened." The women religious stand on the prophetic edge as gutsy women, unafraid of speaking truth to power- this time to the oppressive power of the Vatican. Women religious are using their gifts to build a more just, peaceful world rooted in Gospel values-- whether or not the Vatican likes it. The people in the pews are with you! Thank you. In this photo, newly ordained deacon, Theresa Novak Chabot sets the table for the Eucharistic banquet. "This is a pivotal crossroads in Theresa’s life, and in the life of the Roman Catholic Church in New Hampshire. Theresa has come here to state publicly her submission to God’s call to ordination, and to offer her life in service to God’s people as an ordained minister, called forth from the community." 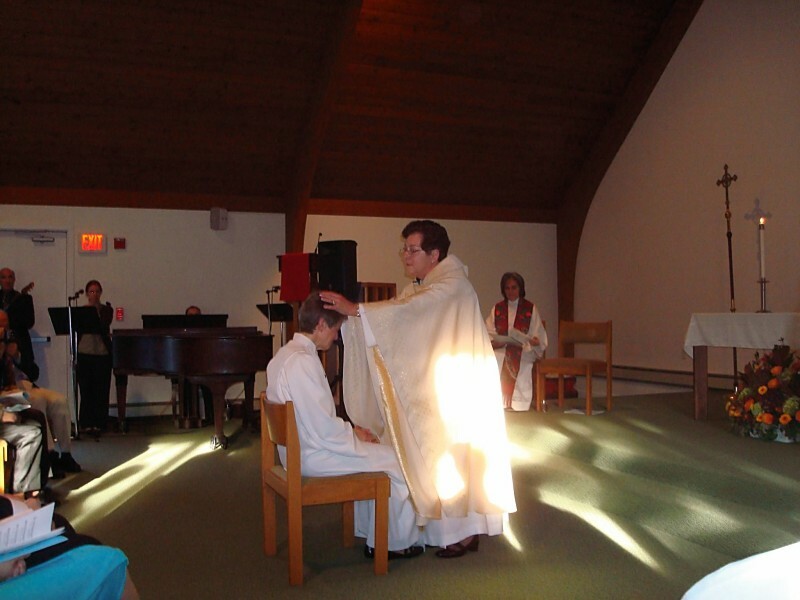 Today is a day of great joy for all of us as we gather to witness the ordination to the order of deacon of Theresa Novak Chabot. For Theresa, it is a day of fulfillment and of affirmation of a call she has been discerning over many years of listening to the voice of God in the many experiences and people she has encountered on her journey. It is equally a day of great promise for her ministry yet to come! This is a pivotal crossroads in Theresa’s life, and in the life of the Roman Catholic Church in New Hampshire. Theresa has come here to state publicly her submission to God’s call to ordination, and to offer her life in service to God’s people as an ordained minister, called forth from the community. Theresa has carefully chosen readings from the scriptures for today’s celebration of her yes to God. Her choice of Isaiah 61 confirms for us her clear understanding of her call to serve all God’s people, especially those who are marginalized or suffering. Theresa is clear about God’s abiding presence in all of the circumstances in her own life, and she is mindful that everything that has gone before has been for a purpose – preparing her for this day – and for moving forward in service. She is grateful that she has been blessed with many gifts to share. She feels particularly blessed to be called to serve the people of New Hampshire who, as God’s people everywhere, need to be welcomed into an inclusive and nurturing Catholic community. The meaning of anointing as described in Isaiah 61 is not lost on Theresa. She affirms it as nothing less than being chosen to effect the lifting up and empowerment of people. 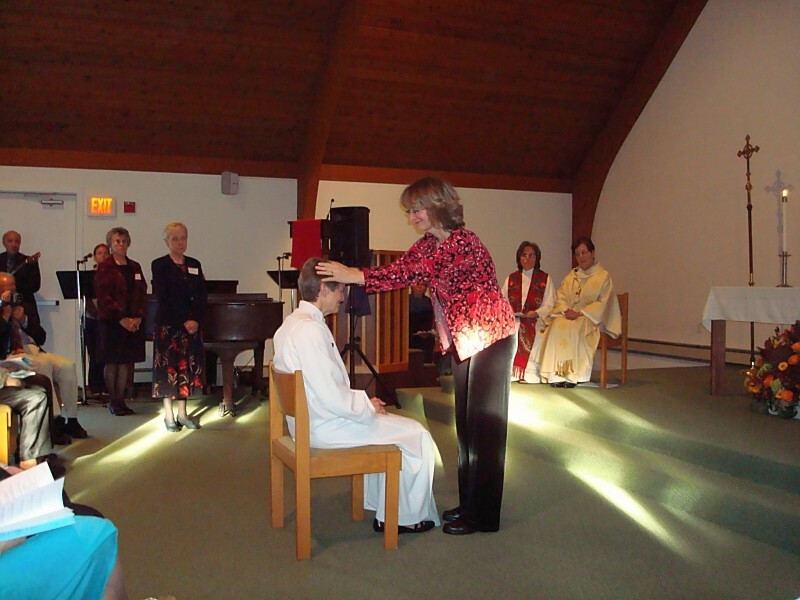 What a blessing her ordination offers to the Catholic community in New Hampshire! I must tell you that we in Roman Catholic Womenpriests rejoice in Theresa’s ordination as much as you do. The empowerment of God’s people, particularly the most marginalized, is what our work within the Roman Catholic Church is all about. It is our heartsong! 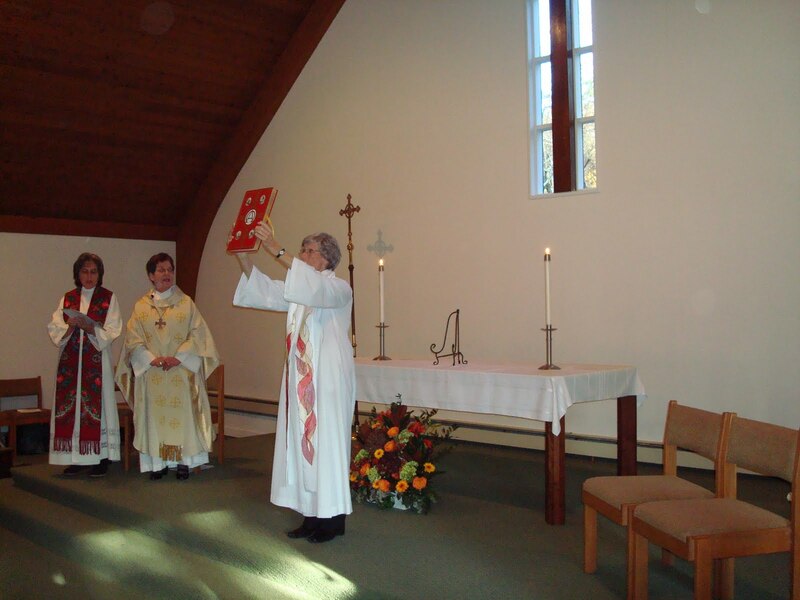 Roman Catholic Womenpriests is about singing a new song to our God – about singing a new church into being. For many years now, many in the Roman Catholic Church have recognized that the ordained ministry in our church has lacked integrity. Many wonderful women and men have prepared themselves, and have offered their gifts of pastoral ministry. But, they have had to “color within the lines” (i.e., accept the roles pre-determined for them by a patriarchal structure that, quite frankly, has been willing to use the gifts of women without offering them a share in the full sacramental and decision-making roles that rightly belong to pastoring). 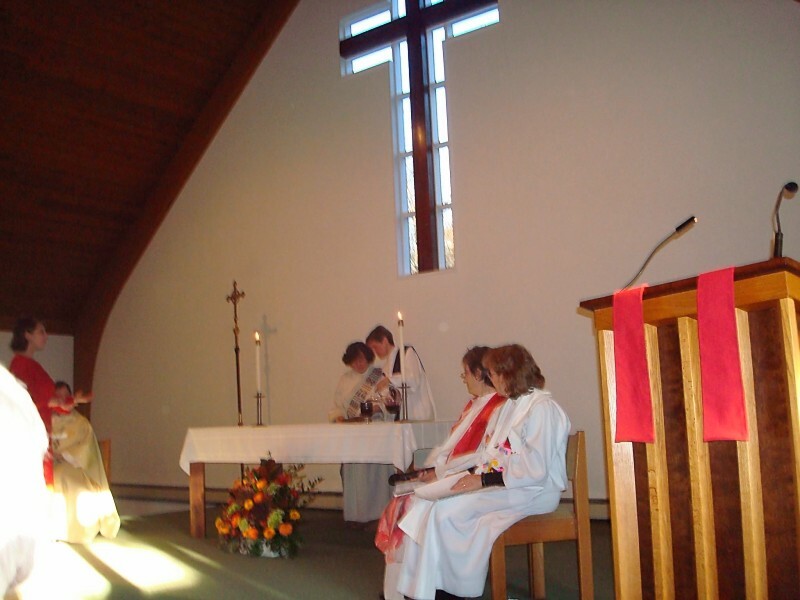 Pastoral ministers in the Roman Catholic Church – women and men – have been required to fulfill their calls within the structures mandated by decision-makers who represent only the viewpoint of ordained men. The initiative called Roman Catholic Womenpriests has intervened to challenge that process! In that light, I take particular delight in Theresa’s choice of gospel reading for today’s liturgy. This stunning passage about the woman with the flow of blood is all about challenging the ground rules! Throughout the gospels, typically a story of healing by Jesus involves Jesus laying hands on people who need healing. This alone was shocking to many, especially when women were involved. But this (quote/unquote unclean) woman took the initiative. She had the audacity to touch Jesus! Note that she also took responsibility for her action! Theresa chose this gospel reading because she clearly understands that she is taking the initiative in the face of stone-walling by the Roman Catholic authorities. She is taking the initiative to say yes to God’s call. Theresa clearly understands what she is undertaking by being ordained into Roman Catholic Womenpriests. 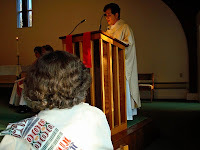 She knows that in joining RCWP, she is moving from strategy into prophetic action – from waiting for God to make her path smooth and comfortable to accepting the pilgrim’s walk on the bumpy road, with all its attendant consequences. Like Isaiah, Theresa understands her prophetic role as empowerer of God’s people. She leads by example! Like the hemorrhaging woman, Theresa is a bold and prophetic and faith-filled initiator of God’s reign of justice and peace. As Roman Catholic Womenpriests-USA, it is our joy to welcome her as a sister pilgrim on the way. For I have been called by God. Whatever else could I say? I have been called by God. Father Roy Bourgeois, MM, and School of the Americas Watch (SOA Watch) have been nominated for one of the most prestigious awards in the world - the Nobel Peace Prize - for their sustained faithful nonviolent witness against the disappearances, torture, and murder of hundreds of thousands of civilians (peasants, community and union organizers, clerics, missionaries, educators, and health workers) by foreign military personnel trained by the U.S. military at U.S. taxpayer expense at the School of the Americas at Fort Benning, Georgia.